US President Donald Trump's assumption that the price of oil was raised artificially contradicts the economic reality, Russian economist Ekaterina Novikova told Sputnik, suggesting that Trump's verbal attack on OPEC could be part of the president's trade war strategy. The US is trying to maintain its global dominance, and US President Donald Trump apparently thinks that the next step should be an attempt to influence the Organization of the Petroleum Exporting Countries (OPEC) and oil prices, Ekaterina Novikova, associate professor at the Department of Economy of Plekhanov Russian University of Economics, told Sputnik, commenting on Trump's recent critical remarks towards the organization. On April 20, the US president lambasted the oil cartel for "artificially" keeping crude prices high. ​"Looks like OPEC is at it again. With record amounts of Oil all over the place, including the fully loaded ships at sea, Oil prices are artificially Very High! No good and will not be accepted!" Trump tweeted. According to Novikova, Trump's verbal attack on OPEC is hardly justified. "Judging by the GDP indicator of developed countries, which [grew by] 2 to 4 percent depending on the economy in question at the end of 2017 — and in the case of China is up to 7 percent — the companies of these countries are ready for further production and profit growth, which means additional consumption of energy resources. Thus, there is a contradiction: if the rise in oil prices is not adequate in the market economy, then we cannot talk about positive trends in the field of economic growth," the Russian academic elaborated. 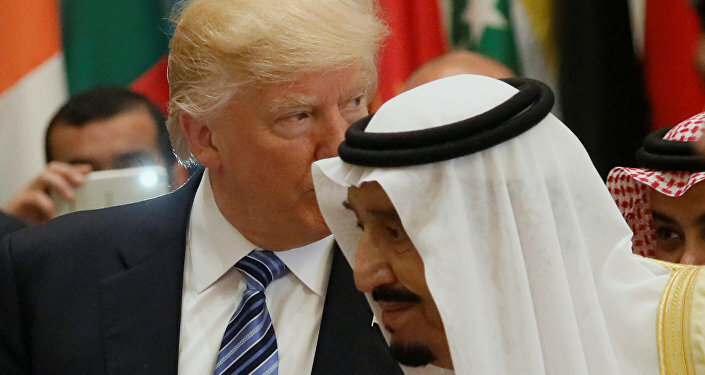 Reuters drew attention to the fact that the US president's sudden remark came shortly after Saudi Arabian officials stated that they would be glad to see oil prices mounting from $80 to $100 per barrel. Riyadh's desire is quite understandable as the country prepares for the IPO (initial public offering) of its oil giant Aramco. Responding to Trump's criticism, OPEC Secretary General Mohammed Barkindo explained that the output cuts negotiated by the cartel and Russia in 2016 naturally prevented a further collapse in oil prices. The measure is "on course to restore stability on a sustainable basis in the interest of producers, consumers and the global economy," he underscored. Meanwhile, this week crude prices reached three-year highs after a protracted period of slump between 2014 and 2016. The US has recently taken a series of measures which amount to waging trade wars, Novikova pointed out. 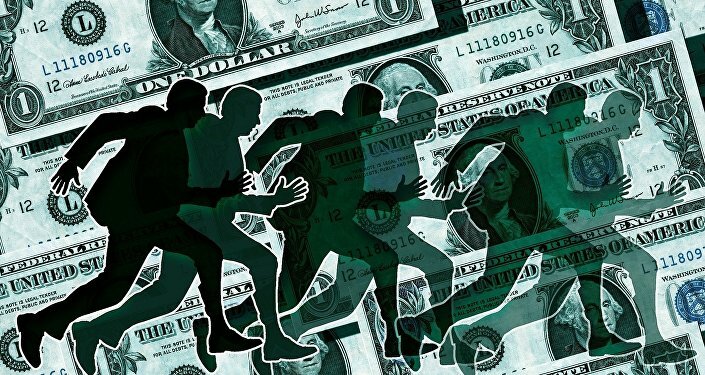 "The attack on China by imposing sanctions on shipping and energy companies and a new round of sanctions against Russia with an indirect impact on the European market indicate that the US has begun feeling nervous in the situation it has found itself in," the Russian academic noted, referring to the huge US public debt and "unfavorable" trade deficit which prompts the debt's annual growth. In March the Trump administration introduced additional tariffs on steel and aluminum imports, which triggered concerns among global metal producers. Additionally, the White House unleashed nothing short of a tariff war on China threatening to impose tariffs on $150 billion worth of Chinese imports over what Trump called "unfair trade practices." On August 2, 2017, Trump signed into law a new round of toughened sanctions against Russia, Iran and North Korea, which targeted in particular Russia's energy companies, prompting fears that it would throw a wrench into the Russo-European joint Nord Stream 2 pipeline project. On March 21, 2018, US State Department spokeswoman Heather Nauert threatened that Washington would impose sanctions on European firms involved in Nord Stream 2. On April 3, Trump openly lambasted Germany for supporting the endeavor during his summit with the presidents of Lithuania, Latvia and Estonia in the White House. In response, some German lawmakers suggested, as cited by Bloomberg, that the US president "ignites the next stage of escalation in order to safeguard national export interests." The views and opinions expressed by Ekaterina Novikova are those of the speaker and do not necessarily reflect those of Sputnik.